Microcyn Skin And Wound Care Spray Bottle 8oz Spray is a specialty wound care cleanser that creates a moist environment for the wound that help enhance the healing process. This product is available in a wide selection of sizes and somes in both a spray or gel form. 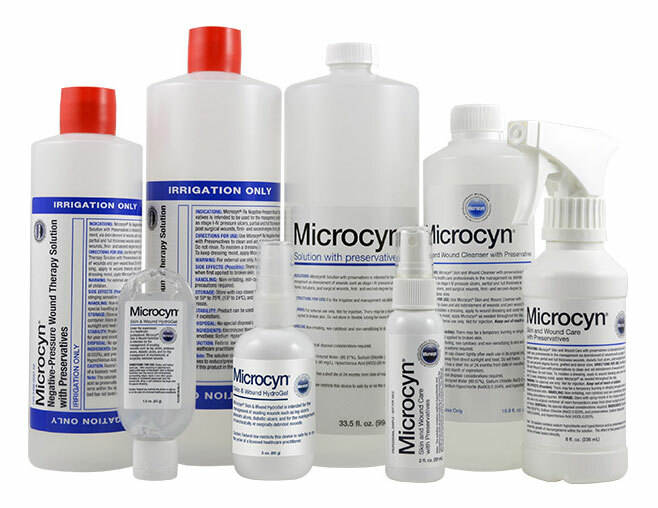 Microcyn Skin & Wound Care Spray - 8oz Bottle is designed for optimal wound healing. When a wound is slow to heal or becomes hard to heal, the costs to treat increase and the quality of life for the patient also suffers as infected, malodorous wounds prevent them from participating in dialy life activities. The Microcyn family of advanced wound managment can be integrated into existing wound managment protocal, providing patients with an optimal wound healing environment and leading to improved wound healing outcomes.